I grew up (as I suspect many of us born in the late 80s and onwards) on my computer. AIM, MSN, Skype, MMOs, BBSes– I grew up forming relationships with people I’d never seen, many of whom I only knew through text. I told stories with them, honing my writing skills without consciously noticing it, until I was co-writing epics hundreds of thousands of words long. I was also falling in love, having my heart broken, learning that not everybody was kind or trustworthy, and practicing how to read between the lines of what was written to suss out somebody else’s heart. So of course my first book is that, writ large. The two characters in The Luminous Dead are strongly opinionated, twisty, aggressive women with very different approaches to getting things done. They don’t trust each other. They don’t like each other. But these two women, diametrically opposed, are dependent on one another and, most importantly, they aren’t even in the same physical location. Gyre is alone in a massive cave system, and Em is only a voice on her radio. My favorite bit is how I got to take that complication – that cornerstone plot piece – and play with exactly how they communicate. Gyre and Em’s relationship begins with a contract, negotiated through an intermediary. It grudgingly moves on to verbal communication, stop and go conversations as they begin to feel each other out. When Em is willing to talk to Gyre becomes almost as important as what she says— and when she’s able to talk to Gyre becomes terrifyingly relevant as Gyre descends farther and farther away from the surface and any other chance of human contact. Keeping dialogue fresh when there aren’t any physical cues for one of the participants was a definite challenge, as was keeping the content from feeling repetitive as they go back and forth over many of the same disagreements from different angles. I had to create a distinct voice for Em, as well as find ways to drop subtle cues as to what she might be doing while speaking. Pauses, dead air, are as important as the words spoken. So many of us have had the experience of waiting, anxiously, desperately, for the next text, email, DM. Not knowing when our companion will respond, or if they ever will. Watching the “…” blink for minutes, hours, days as we wonder what their response will be. Where does Em trail off? Where does she keep talking, when somebody else might have let Gyre get a word in edge wise? Em also has more at her disposal than just her voice. The contract gives her control over the suit that keeps Gyre alive, and granted me another suite of tools— tools that are powerful, but also risky. Em can move Gyre’s body without asking permission, freeze her in place, or even end a conversation with a well-timed dose of narcotics. I couldn’t use those actions often, or they’d lose their efficacy, but I had to balance that against ensuring that when I did use them that their meaning was clear and concise. I couldn’t afford a break in rhythm to explain how an interaction physically functions; it had to feel as natural as breathing, as indisputable as a punch. It had to feel as instantly, naturally devastating as your brand new ex-girlfriend blocking you before you can respond to her break-up message. All this carefully balanced back and forth, the constant shifts of power and understanding and vulnerability leaves Gyre and Em in very different situations than they began. But to see just where the obsession their limited communication produces takes them, you’ll have to climb down into the cave yourself. 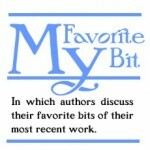 Caitlin Starling is a writer of horror-tinged speculative fiction of all flavors. 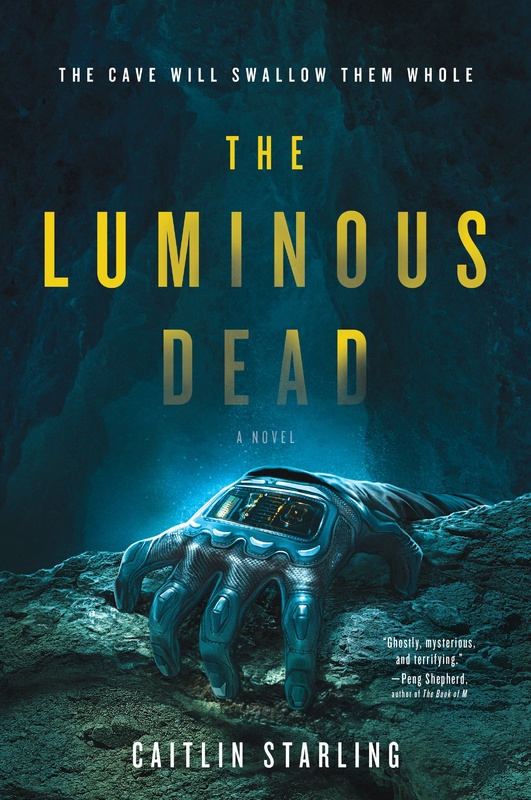 Her first novel, The Luminous Dead, comes out from HarperVoyager on April 2, 2019. It tells the story of a caver on a foreign planet who finds herself trapped, with only her wits and the unreliable voice on her radio to help her back to the surface. Caitlin also works in narrative design for interactive theater and games, and is always on the lookout for new ways to inflict insomnia. Find more of her work at www.caitlinstarling.com and follow her at @see_starling on Twitter.